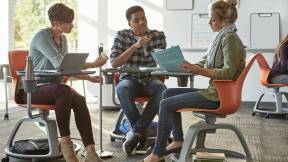 An active learning champion from the University of Saint Mary in Kansas shared her school’s active learning journey at Educause. Each year, academic professionals and technology providers gather at Educause, a conference dedicated to higher education IT. The conference brings together thought-leaders from around the globe to learn, collaborate and network. 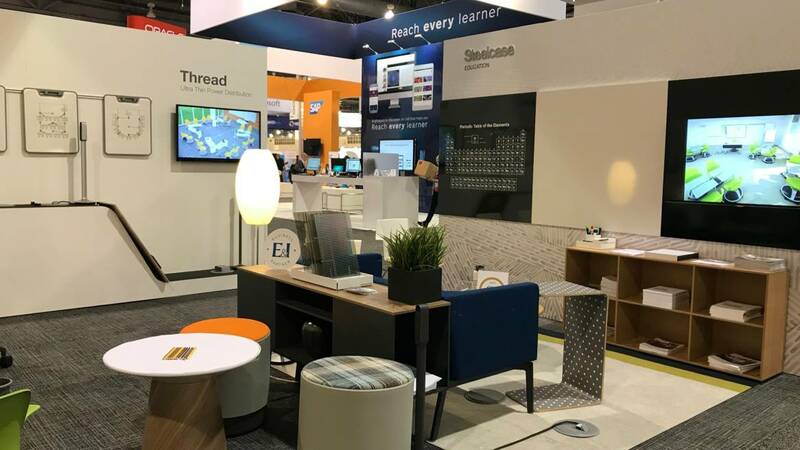 Steelcase Education had a significant presence at the 2017 fall conference in Philadelphia. 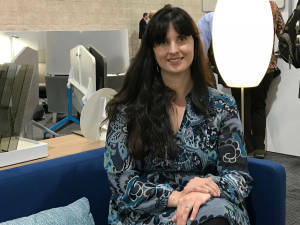 Danielle Dion, library director at the University of Saint Mary in Leavenworth, Kansas, shared a keynote presentation about the impact of the Steelcase Education Active Learning Center Grant partnership on her school and community. Dion described how the University of Saint Mary (USM) prides itself on innovation and evolving education. 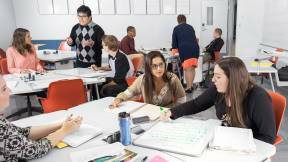 A campus-wide active learning philosophy asks instructors to create a student learner-centered environment. This is established through active learning curriculum strategies that increase social learning, collaboration, critical thinking, creativity and experimentation. 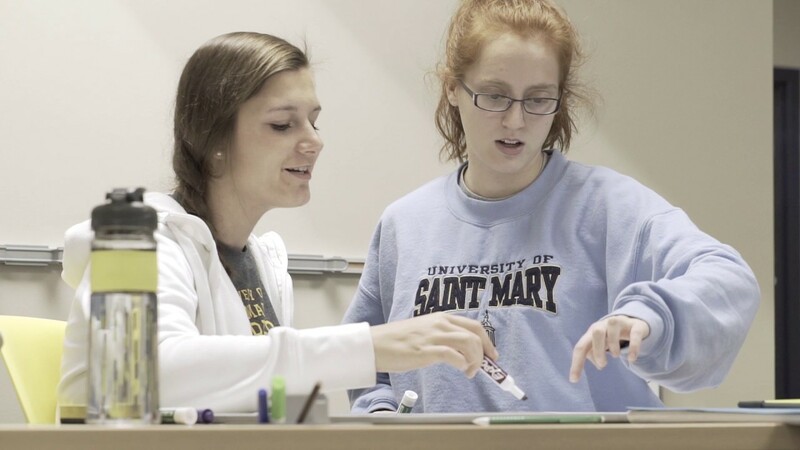 At the center of USM’s pedagogy is continuous instructor-to-student engagement, peer-to-peer learning opportunities, and various teaching modes designed to meet visual, auditory and kinesthetic learning styles. 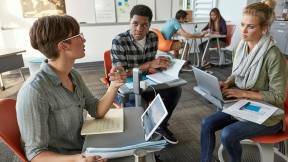 Educators use instructional technologies in innovative, flexible and interactive spaces to facilitate active learning. 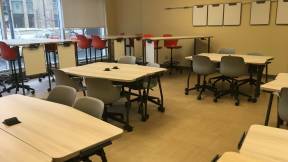 One of these spaces is supported by the Steelcase Active Learning Center Grant. 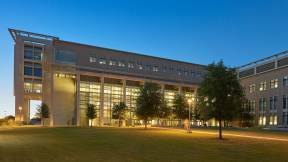 A vision for active learning was the motivation behind USM’s application for the 2016 grant. 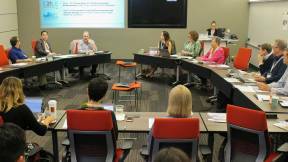 They hoped the grant would help the university to further execute and facilitate their active learning philosophy. When they found out they received the grant, they immediately got the community involved. 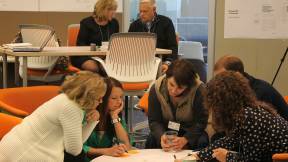 They invited community members to brainstorm sessions to envision and expand this new opportunity for active learning beyond the school’s walls and into the community as a whole. 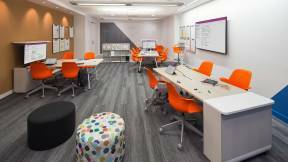 Steelcase Education worked with USM to create a multi-purpose space housed in the heart of the university’s library. 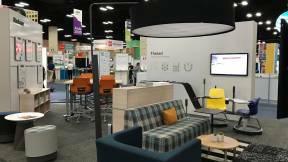 At Educause, Dion shared how this active learning space has transformed the library from a simple space to study, into a communal, collaborative learning environment serving many university and community needs. Formal class sessions, group work, private study, yoga classes, makerspace workshops, physical therapy training and community events are just a few of the more than 500 ways USM leverages this active learning environment. The flexibility and mobility of the space allows for new modes of teaching and learning and has increased connections between students, faculty and the community. At Educause, Dion contributed to the growing active learning community — sharing the effectiveness and success of their active learning pedagogy and space. She also explained instilling active learning across their campus is an ongoing process. Active learning requires constant innovation and an effort to continually evolve practices to meet student needs and optimize student potential, she said. 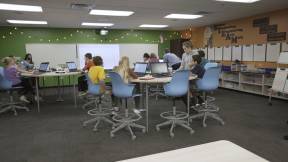 Learn more about Steelcase Education Active Learning Center Grant.